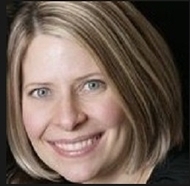 Michelle Straka is the president of Insuranceworks.ca, Insuranceworks.com & Charityworldworks.ca. She started as an Insurance recruiter and has worked within the industry managing very successful job sites for the last 7 years. She will be our second subject of our Female Insurance Leadership Q & A series. What characteristics do you possess that have directly contributed to your success as a female leader within the Canadian insurance industry? I am pretty fearless when it comes to trying new things. It does not always work out in my favour, but I don’t really contemplate what will happen if I try something out and it fails. It’s all a process and I try to believe that nothing truly fails…you just haven’t yet found a way to make it work. Many years ago as a young recruiter I was given the opportunity to run a job board; if I had really thought about how little I knew about running an internet business, I probably would have turned it down for fear of failing. I just figured that I would learn as I went…and I did, and still am. What roadblocks have you encountered throughout your career? That subtle brand of sexism that still exists in North America is the biggest roadblock. Women can work at anything they want, but there are still lines of work that are more accepted for women than others. When I graduated from University of Toronto just before the millennium it was suggested to me that I could consider nursing or teaching, as they were good careers for women. They are two very noble professions and great jobs to have in Canada, however I couldn’t help but be a bit shocked that those were my only options. How would you rate the Canadian insurance industry’s willingness to develop female leadership talent? I would rate the Canadian insurance industry’s willingness to foster female leadership as quite good. As a former recruiter for the insurance industry I have met my share of formidable female leadership talent in this industry. I can’t say if it is better or worse compared to other industries, but I do know that I would like to see more women heading up major insurers. What can the Canadian insurance industry do to encourage women working in insurance to pursue leadership opportunities? Ensure that women working in junior positions have opportunities for flexibility to have families and a career early on in their careers, so they don’t abandon their ambitions prior to having families. There are studies that show young women in all industries sabotage their careers by not pursuing career advancement because they are under the belief that they cannot be a leader and have a family at the same time (the sabotage is occurring even before these young women have even met a future spouse). These young women need to see female leaders balancing family and their careers by being supported by their employers. What’s the best career mistake you ever made? I can’t pinpoint a career mistake…but on the same note, I have always taken full responsibility for any mistake I have made at work, big or small, instead of trying to justify it or hide it. It’s not easy to do because the first instinct is to defend oneself. However, taking responsibility gives you the opportunity to right the wrong, and shows your manager that you are trustworthy and not afraid to work hard to turn things around. If you could go back in time, what advice would you give to your younger insurance self? I would tell myself not to be so worried about what I didn’t know, and to focus on leveraging what I did know. You will never have a magic formula of data that will tell you “Yes, I am ready to lead now. I know all that I need to know” so you might as well just start now.